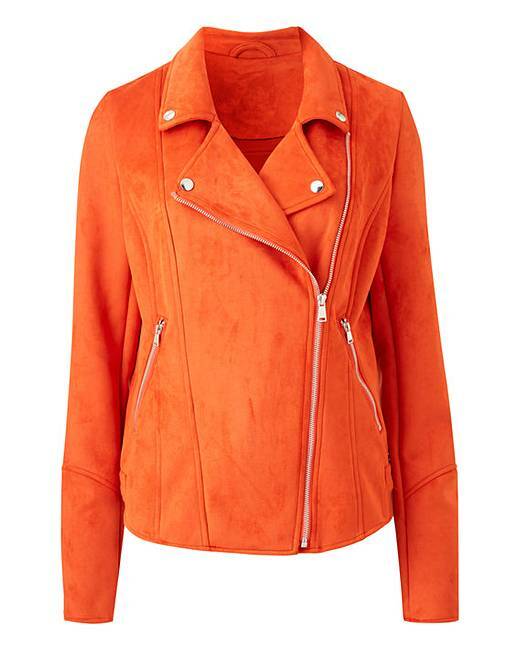 Give your look a re-vamp in this season's new take on a classic Biker Silhouette. This super-soft Suedette Jacket with statement shiny metal trims, an asymmetric zip and a flattering curved hem will transform your outfit and give it that little extra something it needs. An easy- wear jacket which is the perfect piece to add effortless style to any outfit, our Suedette Biker Jacket is a key trend piece we can't get enough of.